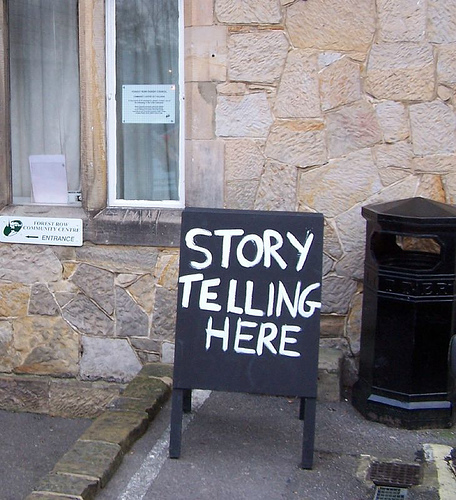 What Does Storytelling Have to Do with Business? 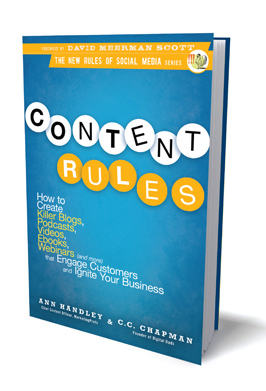 A few weeks ago I gave a presentation at ExactTarget’s user conference called Content Rules: What Stories, Blogs, Video & More Should Be Doing for You (and Your Clients). The following day, a panel of marketers representing companies of all stripes—from the long-established (Kodak) to the hip upstart (Threadless), and a few in between (Virgin America, Benchmark Brands) offered up their take on trends in marketing and business, like: What’s the role of a marketer in an organization? How have social media and technology altered the evolution of that role? 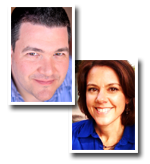 And how do you get your customers (and would-be customers) to engage with your brand and the products you sell? One of the major themes that emerged there was (surprise! )… Content! And specifically, what stories, blogs, video and more should be doing… Yeah. Like I said. It was gratifying to hear some of the same themes I talked about the day before reinforced by the CMOs of some pretty smart companies. I’d like to think it was just because they all attended by presentation the previous day (ha! ), but the truth is that producing great content is something so many companies are increasingly embracing; I loved the panel’s comments around the idea of “storytelling” as a cornerstone of what they’re doing to market online. 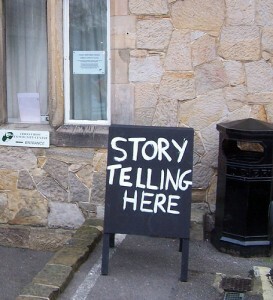 So what does storytelling have to do with business? “Storytelling” is one of those works that I always find impossibly squishy in a business context. For me, it always conjures up more performance art than industry.